This bar contains nothing but the goodness of pure goat milk and vegetable oils. It’s perfect for those who have sensitive skin or are allergic to fragrances. 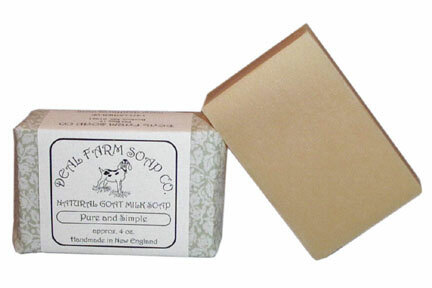 Even without the scent, you’ll enjoy this soap’s creamy lather. Recommended for all skin types. Especially good for dry, sensitive or mature skin.